In recent years we have already taken the course a lot and removed the "breaking" hill from the course. 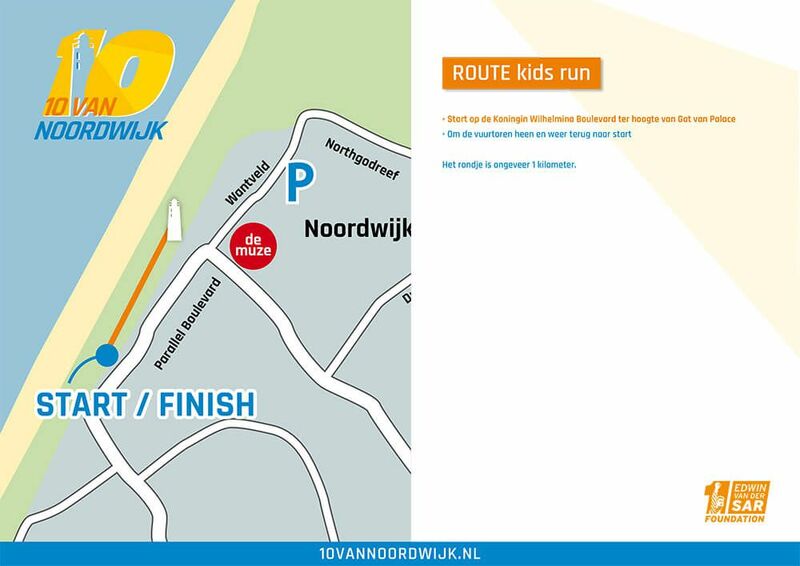 After your positive reactions and feedback, we have once again greatly improved the course of this edition of the 10 van Noordwijk. Again every kilometer is indicated by signs on the right side of the bike path or dune path. This year we have removed the narrow passage to the Zeereep from the course. 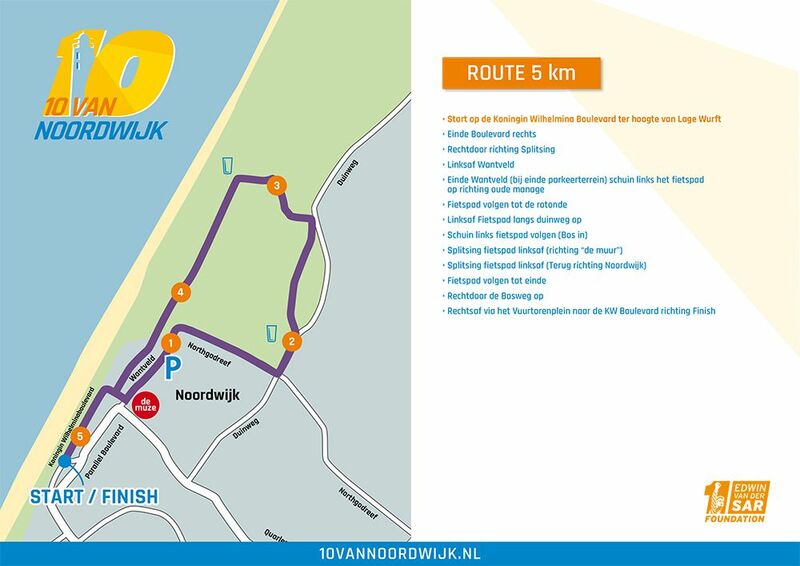 Now the last kilometer from the ring road straight on the Bosweg and then right and left the boulevard for the finish. This change applies to both the 10 kilometers and the 5 kilometers. Do you want to put the route in your running watch? 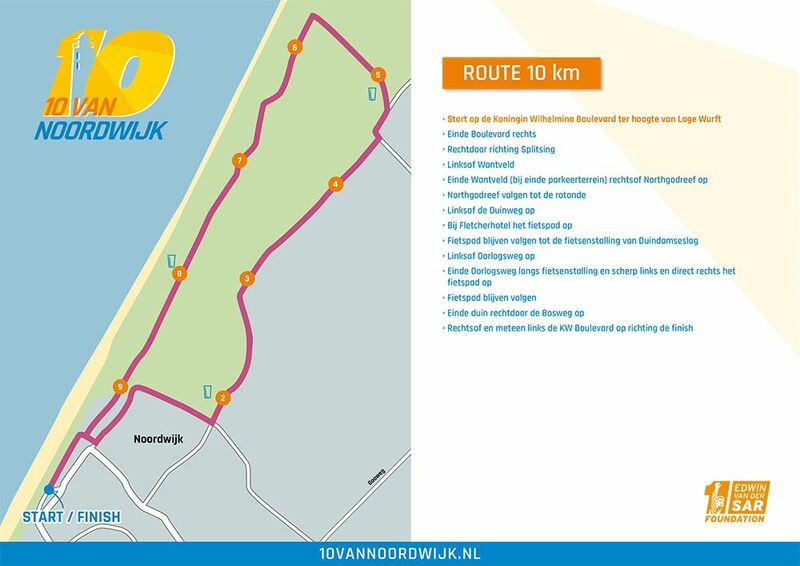 We have the routes of the 5 and 10 KM in GPX format available. Download them below by right-clicking and choosing 'Save link as'.